M2 2280 PCIe NVMe drive for T460p using T470p's SSD 2.5 adapter. Will it work? 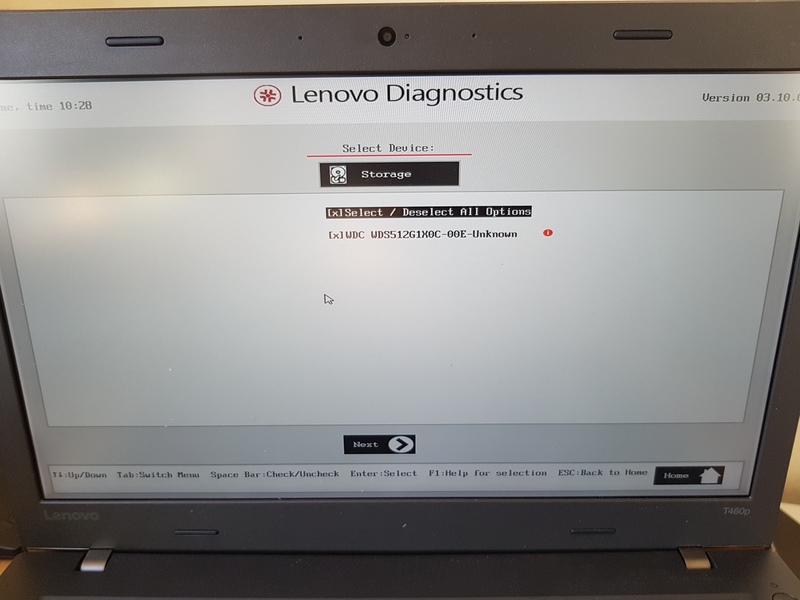 My understanding is that both the T460p and T470p support PCIe 3.0 x2 via their SATAe SSD connector. 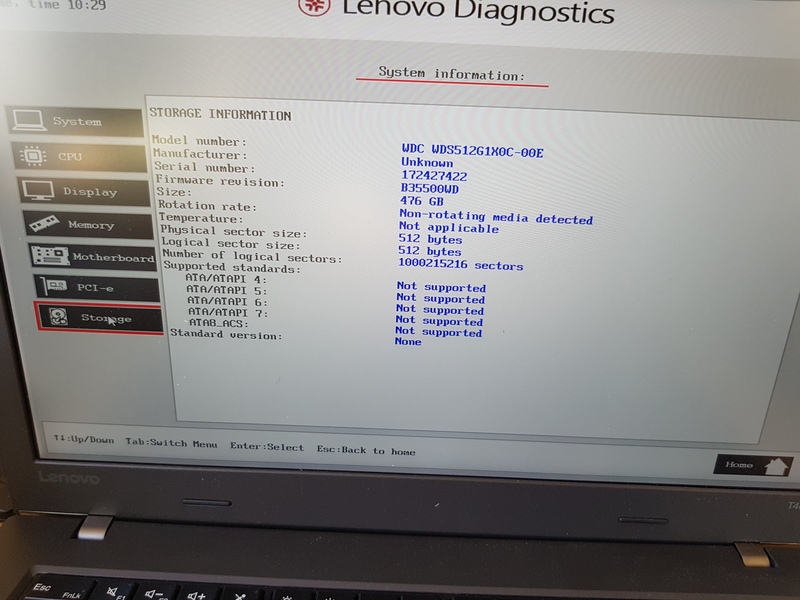 The T470p has an adapter on which an M2 2280 PCIe NVMe drive can be connected and get speeds higher than SATA. 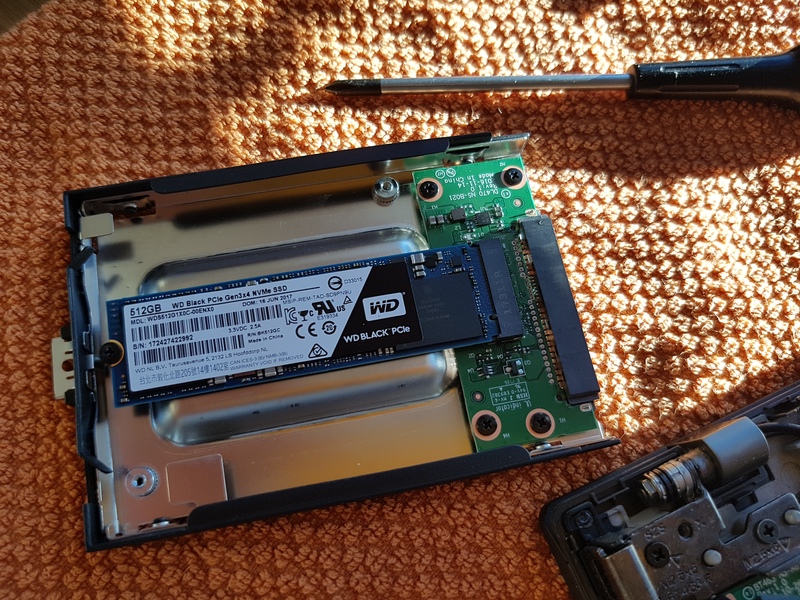 The T460p on the other hand only has this one Toshiba SATAe drive to improve on SATA speeds, and that is limited to 256GB, it is rare and cancels the WAN port for further storage. So, can the adapter from the T470p be used in the T460p? This would solve all problems for the T460p, higher speed and good capacity. 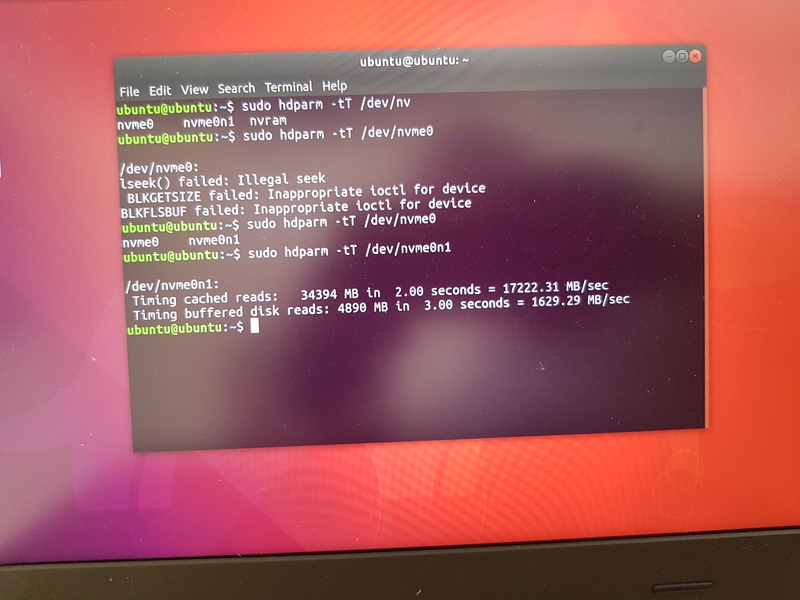 Re: M2 2280 PCIe NVMe drive for T460p using T470p's SSD 2.5 adapter. Will it work? > it ... cancels the WAN port for further storage. the combo m.2 wwan/ssd slot isn't assocoiated with main 2.5" slot for HDD/SSD, it's a separate slot. This combo slot supports m.2 SSD SATA III 22x42 mm in size only, not a PCIe one. I haven't seen the prooves that the bracket/adapter for m.2 PCIe SSD 2280 for T470p (there isn't the one for 2.5" PCIe SSD in T470p parts list) is compatible with T460p. My understanding is that the 2.5 slot and the M.2 wan slot have 2 PCIe lanes available to them. If a SATAe drive (not SATA) is connected on the 2.5 slot, then it takes both lanes and the WAN slot cannot be used for SATA. But this is not important. 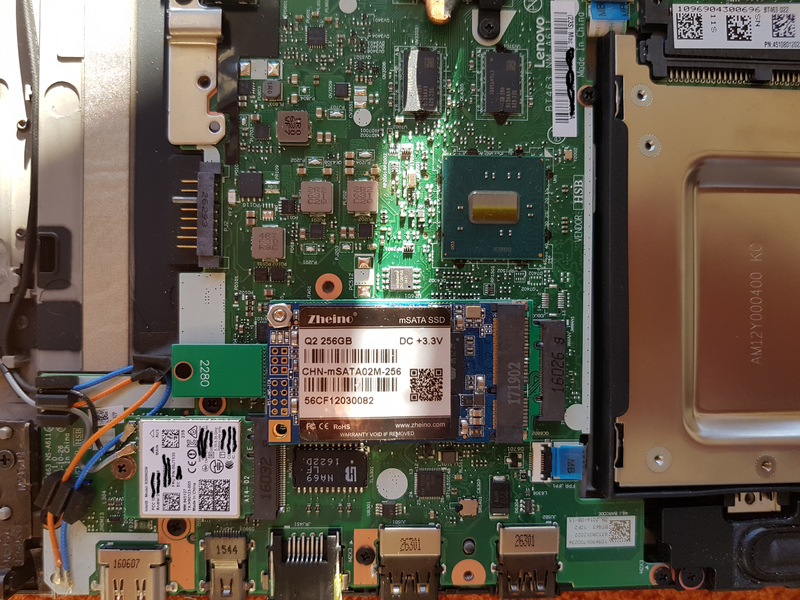 The important bit is whether the adapter M2 PCI 2280 that connects to the 2.5 slot of the T470p will work on the T460p. Mechanically the two slots are the same, and apparently they both take in PCIe 3.0 x2 (2 lanes). So I cannot see why not. Maybe I should buy an adapter and try it. Pointers anyone? > If a SATAe drive (not SATA) is connected on the 2.5 slot, then it takes both lanes and the WAN slot cannot be used for SATA. again. no. The wwan slot uses USB bus mainly and a couple of PCI bus lanes for the wwan card control, not for data. There isn't mutual influence of the slots you mean. One note: there aren't eSATA interfaces in either T460p or T470p. Pointer to the adapter' p/n? It is not eSATA I am talking about but SATAe, SATA Express. SATA Express uses the SATA interface + the bridge in between the two connectors (mechanically identical to the U2 connector) for the additional PCIe Lane. My understanding is that the SATAe connector can use up to 2 PCIe 3.0 Lanes. When a SATA drive is connected only one lane is used and the other one is left for the WAN m.2 slot. When a SATAe drive (the infamous Toshiba) is connected, because it uses both PCI lanes, there are none left for the WAN m.2 slot and as such a SATA m.2 drive cannot/will not work. 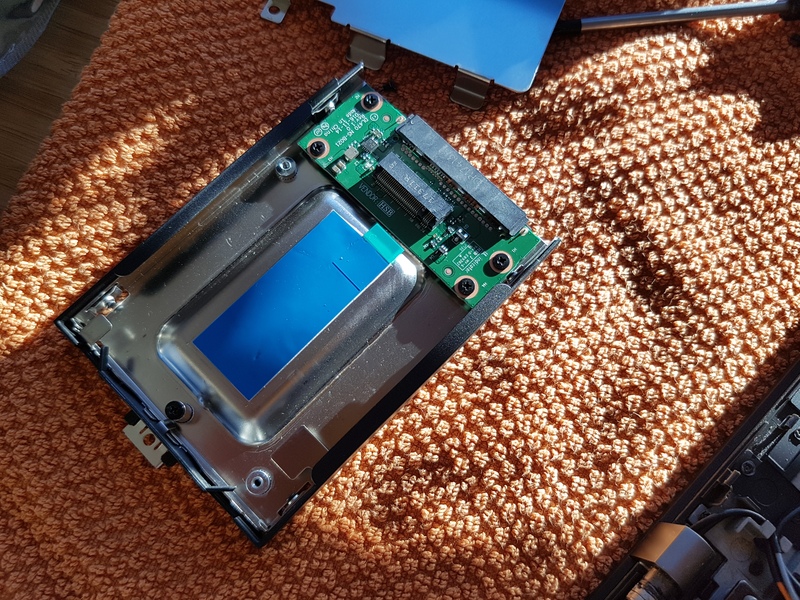 There is evidence for that on that guy's Youtube video, who tried the M.2 WAN slot with and without the Toshiba SATAe drive and only worked when the SATAe drive was not connected. So comming back, does the adapter connect to the the T470p mainboard with anything else apart from the SATAe connector? Do we have close up pictures of this adapter? I have now checked pictures of the adapter from this thread and indeed the connector looks exactly like SATA Express. It can, however, be a U.2. There is an adapter on sale to connecte 2 M.2. SATA drives on a single SATA Express connector. With this adapter you can have two M.2. drives (SATA) working independently, as one is using the one PCIe lane and the other the other PCIe lane of the SATAe bus. They work both at full speed at the same time (it is not a SATA multiplier). Again with this adapter you cannot use the WANN, however you can use long 2280 M.2 SATA drives (not PCIe), two of them, if you need more space in more than one drive, as the M.2 SATA 2248 drives are up to 512GB only. it appears that the T470p adapter is an M.2 to U.2 adapter. While the U2 connector is mechanically the same as the SATAe connector on the T460p they are not the same. As such I think I will leave it at that. 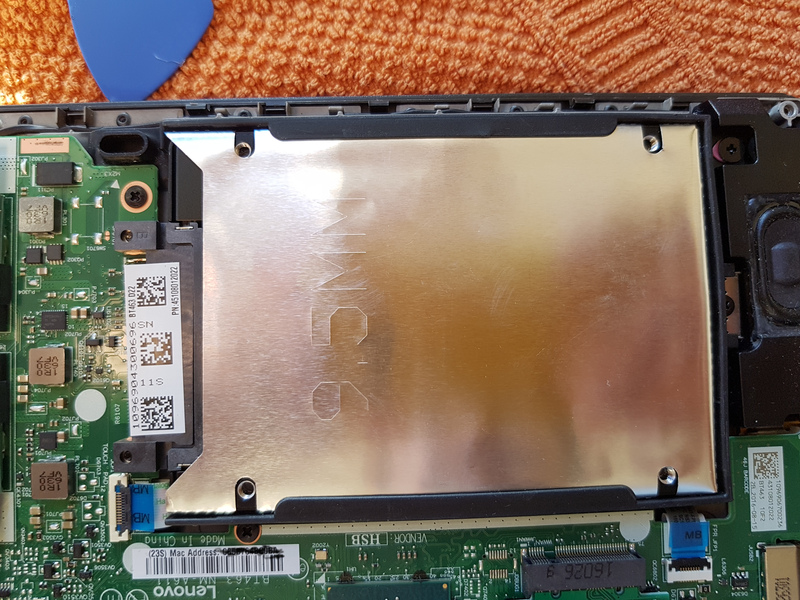 That the T470p has a U.2 connector for the 2.5 drive and the T460p has a SATAe (SATA Express) connector for the 2.5 slot. As such the T460p cannot use the adapter from the T470p. I have connected a M.2 2280 WD Blue PCIe X4 500GB drive to my t460p. The system sees the drive and works fine at full speed. I will post pictures later. As such my previous post is WRONG. The caddy is indeed a PCIe to SATA Express unit. A word of notice. As soon as the caddy is connected, the M.2 2242 drive is NO LONGER identified. This agrees to previous findings by others that the 2 PCI lanes are shared between the 2.5 slot and the M.2 slot and when a SATA Express drive is connected, which uses both lanes, the M.2 slot stops working with SATA units (maybe it still works with USB, I cannot test). So you can have a 1 TB PCIe M.2 unit installed and be done with your storage. I have a ThinkPad T460p and am considering to do an upgrade from the preinstalled 500 GB Sata SSD to M2 or NVME SSD? 1. Is it worth it - in temrs of performance and price? 2. If so, which type of SSD do I need to buy M2/NVME and which caddy to convert T460p to accept this new SSD? We'll on paper the NVMe gives you 3x performance. 1700mb/s read and 1500mb/s write (pcie is limited to 2x). So benchmarks will reflect that. Unless your work demands sequential reads and writes (video rendering etc) you will not be able to tell the difference in performance in real life. However, given that NVMe drive prices are much lower than they used to be, the upgrade from SATA is not that expensive. The price difference is still 2x compared to SATA but it's bearable. So it's up to you. An m.2 pcie NVMe drive. The Samsung's are great but don't pay for the pro version of the 970 series as even the evo is going to saturate the (limited 2x) bus. Look for drives with speeds close to the limits of the bus stated above, 1700/1500. You will also need the cardy from the t470p (not the t470 that has a separate cable). Look further up on this thread for the FRU (part number). They're about $40 new but availability and time to deliver might be another issue. There won't be easy to find outside lenovos network.